POLI is one of the most common payment methods used by an Australian or New Zealand online casino. It's so common because it's simple to use and a method that most customers prefer to fund their accounts with. No account is needed with a POLi online casino to use the service and it's as simple as putting in a bit of bank information and getting started. If you can fill in your bank details you can make use of this payment method. While at a POLi online casino you will most likely be able to use credit cards to make your deposits as well. While the cards will work, they will be a bit more work to make use of and you'll likely have to wait a bit longer for the payment. Another serious benefit of playing at a real money online casino, POLi will allow you to get your money back in AUD through it, just like you deposited it. When credit cards are used for the deposit, they cannot be used to withdraw money. That means that two different methods have to be relied upon, which takes up additional time and energy. Our most popular POLi casino for April 2019 is Cafe Casino. If you ever considered PayPal or Neteller then you know you need to create an account to use the services. 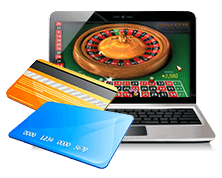 While they are convenient to use after you have an account, the actual account creation process is time consuming and not something that you'll want to go through when you just want to play at a casino. That's why many people decide to go with a POLi casino instead. As long as you have an online bank account there is no need to create a mobile casino POLi account. Instead you simply press the payment button and go through a few simple prompts to complete the purchase. The process of using an online casino with POLi is simple and can be done in just a few minutes while creating your casino account. There aren't fees associated with depositing real cash into a POLi account. The transaction is typically free, which is a nice bonus when trying to fund a POLi casino. There are some instances where the withdrawal comes with a fee from a casino. These fees are usually quite small and they aren't always charged to the account to begin with. There are plenty of occasions where you can withdraw money without a fee at all, it just depends on the casino being used. Even if you want to play at a mobile casino it's possible to use POLi as the payment source. Since using POLi deposit casinos is so simple, it's possible to fill in the payment using a smartphone or a tablet rather than a whole computer. Getting started playing a casino game is a simple process with POLi and that is why so many people make use of it for their depositing needs. Most Australian casinos offer POLi as an online payment method. That's because POLi originated in Australia and it's only offered there and New Zealand. 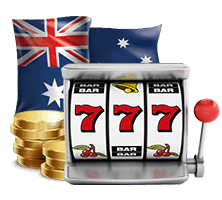 The service is available at the majority of casinos that cater to Australian players, and that means that if you know how to use it, you can easily deposit your money into an Australian casino when you want to begin playing. It doesn't matter which casino you want to play at, it's accepted at most. POLi deposit casinos are convenient to play at because they allow you to use the POLi payment system that's known for saving time and making deposits and withdrawals easy to do. While other payment types take days to process, POLi processes in hours. You can deposit money and be playing on the same day. You can also withdraw money back using POLi and get it right into your bank account once again. Withdrawing money is also quick and easy to do and that's where POLi truly stands out compared to some of the other methods available. When you're looking for a quality casino to play at, look out for POLi options. These casinos are simple to use, easy to make deposits and withdrawals with, and you can get started quickly and easily. That's why so many people search for POLi casinos and why it makes sense to spend the time looking for them. Add it to your list of features that you want at the next casino you play at and when the time comes to make the switch from one casino to another, or when you get started at a real cash casino you'll have a quality experience that you really enjoy. It works by simply connecting to your bank account during the time of a transaction. You click the POLi button and walk through the steps to complete the purchase right then and there. It's simple and fast. Can it be used for online casino play? POLi is accepted at most online casinos and makes signing up to one of them a painless process if you already have a bank account to use. Simply press the button and follow the simple steps to get just the right amount of money deposited into your account then and there. POLi comes with all the protection that an online bank account has. It's very secure and designed to protect all of your money against anyone trying to get it. Only the money you decide to deposit will be at risk when using this service. The transactions are nearly instantaneous. After a connection is made to your account the money is converted and made ready to use by POLi very quickly. At the most you will wait an hour or two for verification purposes. How do they compare to other payments? POLi is much more convenient than services like Ukash that require you to use a terminal. They are also simpler and faster than things like a prepaid credit card, and safer than an actual credit card. Many times POLiI fees are charged to the person depositing money into a casino, but the fees that you pay depend on the casino you join. Some of them will take the fees for you so that you get your full deposit when you sign up to play. In order to get a better idea of how different online casinos can be, we have a blacklist of non-recommended sites to go along with the best of the best. WARNING! Do not register and deposit at these POLi casinos!